There’s not much to say about this vase that collectors don’t already know. 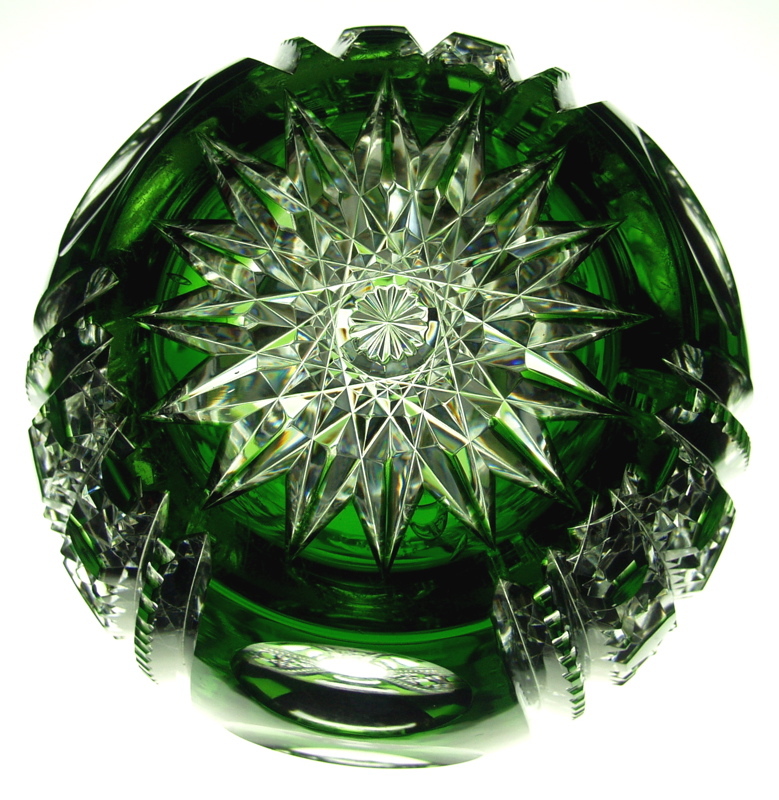 It’s case glass cut green-to-clear and is in Dorflinger’s beautiful and elegant Montrose pattern. 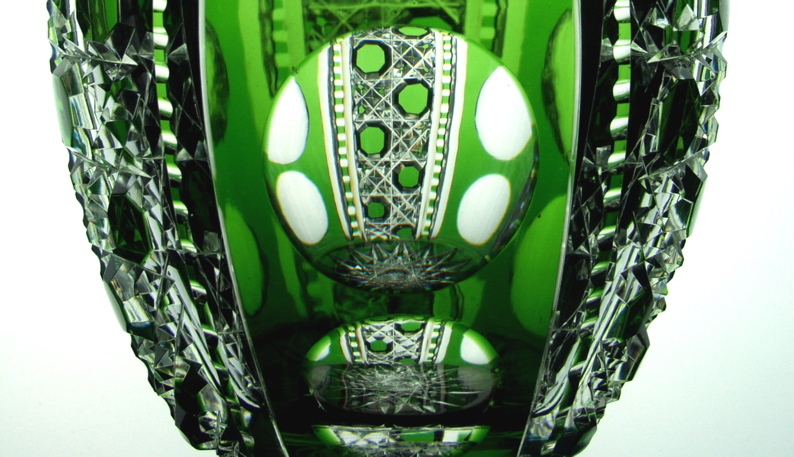 Color glass makes up an extremely small percentage of actual American Brilliant pieces, and most pieces that are assumed to be American turn out to be European in origin. This is one piece you can be sure of the maker and origin and it will always continue to climb in value because it’s just so hard to find pieces like this. 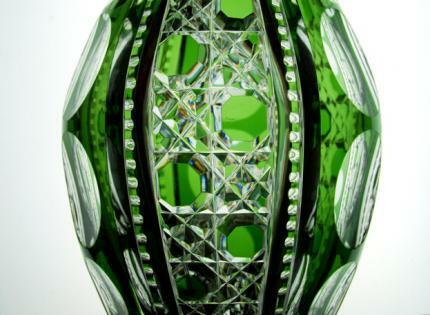 Additionally, most colored glass is found in stemware, not large pieces like this. This really is the rarest of the rare. 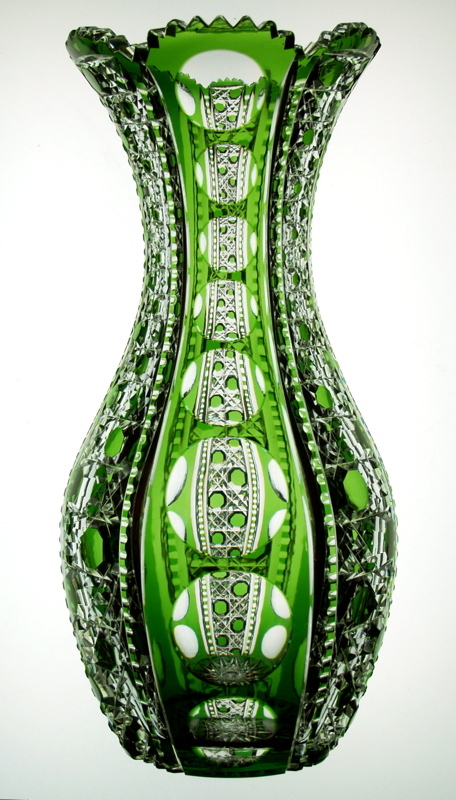 The Montrose pattern consists of a chain of large punties which extend down the front of the piece. 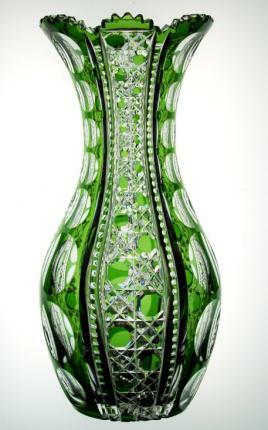 The glass is so clear and the color so striking that you can see straight through the entire piece within each puntie. Rich cane runs in between each panel of puntie and expands in size with the shape of the vase – larger hobnail at the most boulbous parts. The base, which retains all of its rich-green color, has a 16-point Dorflinger-style hobstar. 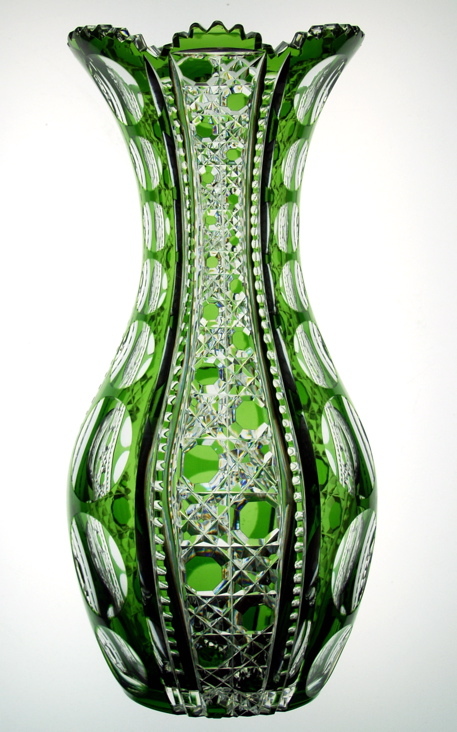 The vase measures 12″ high and 6″ wide and is in perfect condition. Really there’s hardly a fleabite on this piece! The glass is so clear and so vibrantly green it will make other pieces green with envy!